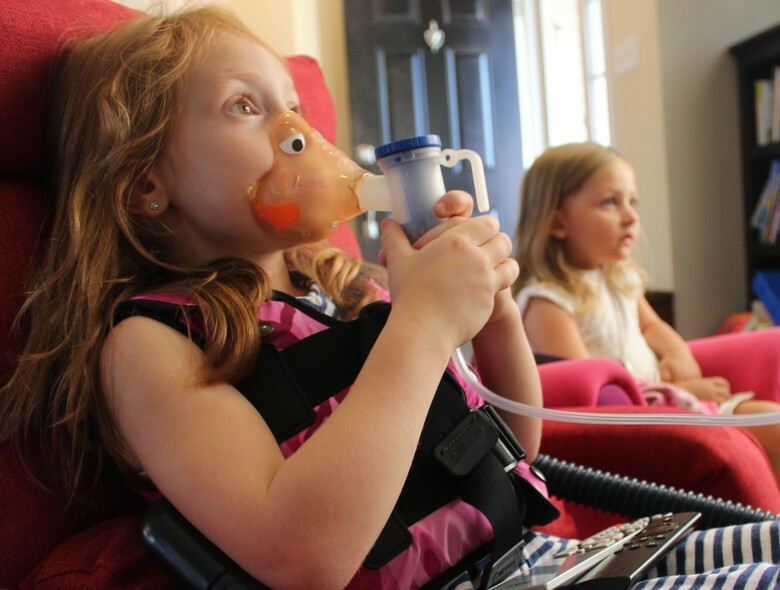 Cystic Fibrosis is an incurable and degenerative disease with a very unpredictable life-expectancy. However, people with Cystic Fibrosis are now living for longer because of advancements in treatment, largely made possible thanks to awareness and fund-raising work from some very special volunteers. 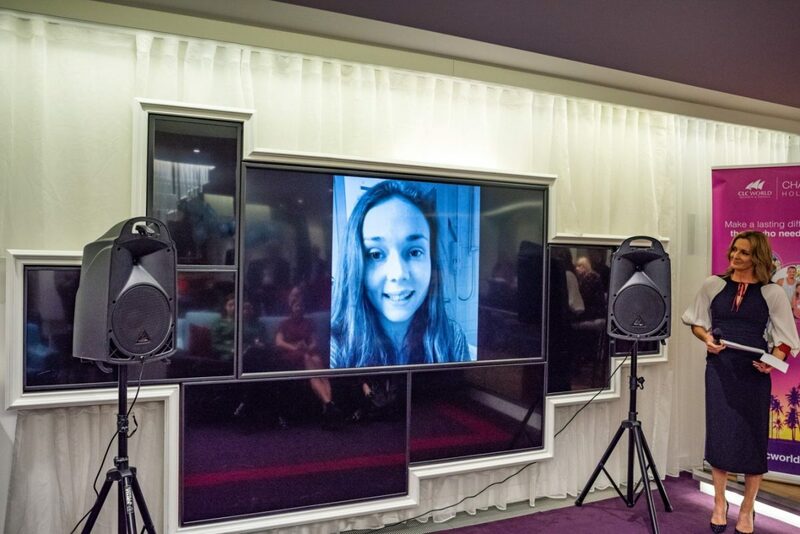 The Cystic Fibrosis Holiday Fund’s third annual reception was held last week, at the Virgin Money Lounge in London. 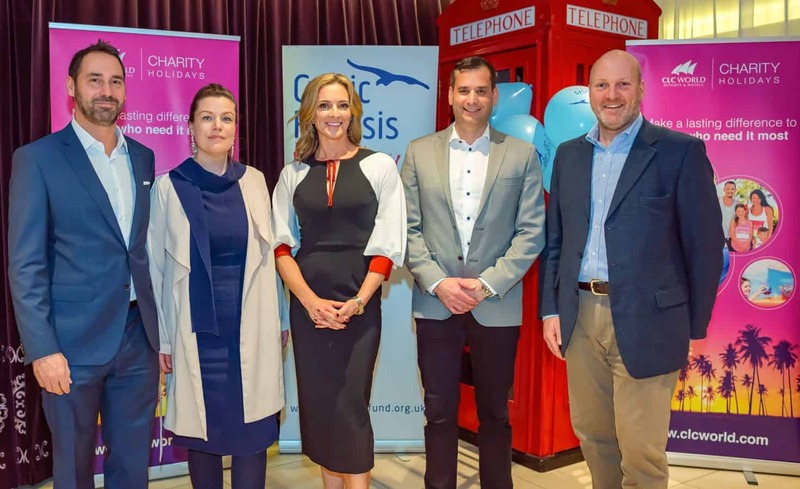 The evening was dedicated to raising awareness of Cystic Fibrosis and the Fund’s Family Revitalise programme which provides respite breaks for children with Cystic Fibrosis and their families. Broacaster and journalist, Gaby Logan, who is also the CLC World’s Charity Ambassador, was on hand to dish out the awards which recognise the amazing achievements of some of those who work with and campaign for greater knowledge of the condition and the need for the drug Orkambi to be available on the NHS. Currently, only around half of people with cystic fibrosis will live past the age of 40. Children born with the condition nowadays are likely to live longer than this. However, many teens and people in their early twenties still succumb to the condition, which creates psychological pressure on the well-being of both children with Cystic Fibrosis and their families. The condition involves the build-up of sticky mucus in the lungs which can cause breathing problems and increases the risk of lung infections. Over time, the lungs may stop working properly. Mucus also clogs the pancreas (the organ that helps with digestion), which stops enzymes reaching food in the gut and helping with digestion, meaning most people with cystic fibrosis don’t absorb nutrients from food properly. Whilst there’s no cure for Cystic Fibrosis, a range of treatments can help control the symptoms, prevent or reduce complications, and make the condition easier to live with. However, some drugs that can help treat the condition are not yet available on the NHS. Carly Read, who spoke at the event, has a 3-year-old daughter with CF. She is frustrated that Orkambi is not available to help her daughter who fights the condition every day. Hannah Lindley, who was unable to attend due to the presence of another person with Cystic Fibrosis, was recognised for her wonderful ambassadorship of the CF Holiday Fund and for her strength and resilience in very testing times. Hannah has been fighting tirelessly since her sister’s death from Cystic Fibrosis in 2015 to convince the government that the Cystic Fibrosis drug Orkambi should be available on the NHS, garnering more than 23,000 signatures! Stephen Hayes set up ‘Friends of CF’ in 2009 following the death of his daughter Leah from the condition. He said: “We were fortunate to benefit from the Cystic Fibrosis Holiday Fund in 2009 when we had a most memorable visit to London with Leah just before she passed.” The ‘Friends of CF’ have hosted the annual Leah’s Ball ever since with money raised going to the Cystic Fibrosis Holiday Fund and other CF charities. Stephen was recognised for the extraordinary effort and commitment that goes into running Leah’s Ball and to say thank you for all the fundraising efforts. The Stuart Gordon Fund assists families affected by CF and other chronic ailments and was formed by Ruth and Ian in memory of their son Stuart who died aged just 23 in 1996 from CF. Ruth and Ian have run multiple fundraising events every year and the Cystic Fibrosis Holiday Fund has been a major beneficiary of their hard work. In recognition of their service for the benefit of others and the countless children they have helped, Ruth and Ian Gordon were presented with the Lifetime Service Award. Katie Smith is a Paediatric Cystic Fibrosis Social Worker at Southampton Children’s Hospital and was recognised for her enormous assistance to the Fund’s Family Revitalise programme in the Southampton area, nominating families, assisting with the paperwork and offering advice. In 2019, Katie has designed a pilot project to measure health improvements in patients participating in the Family Revitalise programme by recording lung functions and other key indicators before and after the break. The Fund is immensely grateful for her support, skill, empathy and enthusiasm. The Cystic Fibrosis Holiday Fund’s Family Revitalise programme provides funded holidays to children, young people and their families and is made possible by CLC World Resorts & Hotels’ donation of free accommodation at their luxury resorts. Graham Wilding, UK Managing Director CLC World, stated: “The value of holidays for families struggling with CF is demonstrated through the psychological uplift that follows which has a direct impact on the effectiveness of treatments and subsequent measurable health outcomes.